I offer several classes on Skillshare, an online membership site where teachers like me offer classes and receive payment based on minutes watched. Click LEARN MORE to watch a short introduction for each class and get 2 months FREE! Turn your sketches into beautiful personalized wrapping paper. 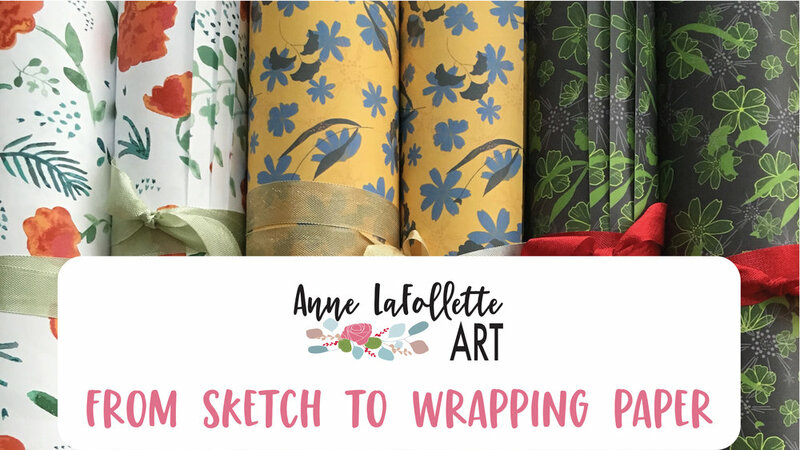 Learn how to digitize your work, create a repeating pattern and order high quality sheets of your very own gorgeous wrapping paper. The feeling of joy and delight when your package of wrapping paper arrives is beyond description! Check out my other classes too! 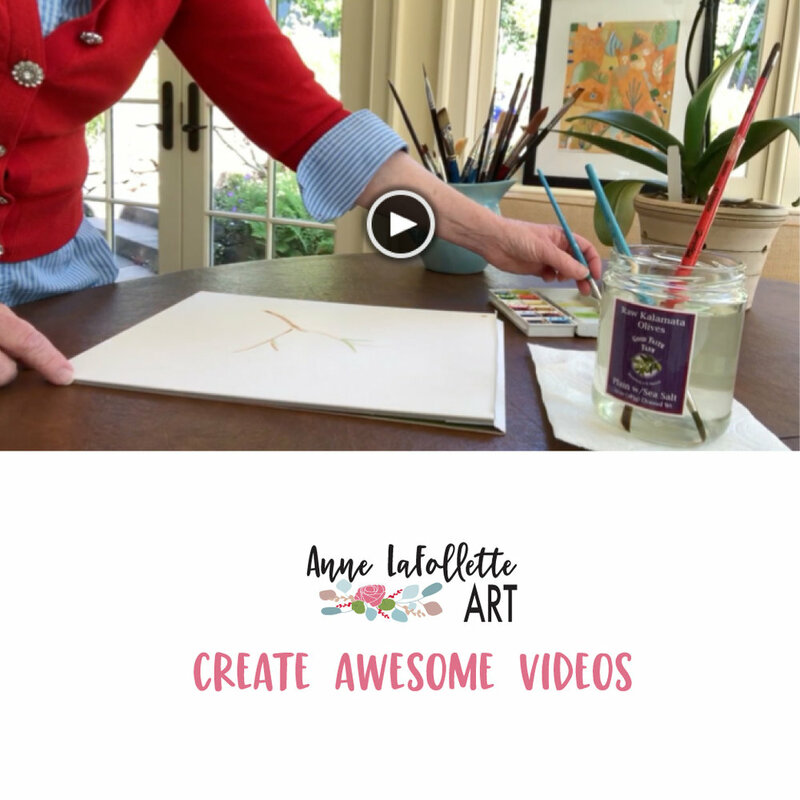 Create beautiful videos to share on social media, on your website and in your marketing. This easy 3 step process includes bonus lessons on how to find and add free music. Watercolor can be tricky and intimidating! Join me in this introductory class and I'll share my tips for how to get started and have fun in the process! Create gorgeous floral bouquets and digitize them in Adobe Illustrator. 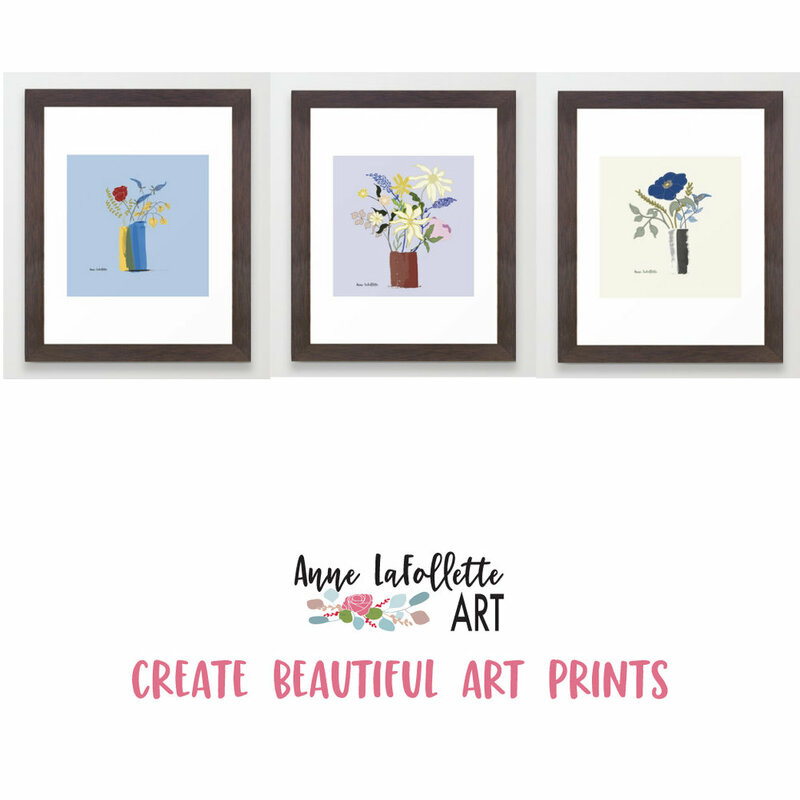 Then learn how to sell them as beautiful art prints on Society6.